Torrance is known as a city with a thriving and growing high tech industry, even at a time like the present. But it’s also home to many other businesses: including, for example, those that use large scale commercial dryers. 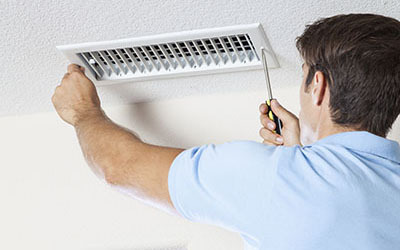 If you operate a hotel, laundromat, or other enterprise that needs its commercial dryers in top shape, we invite you to call our Torrance dryer vent cleaning service. We provide services that are thorough, quick, and effective -- worthy of sterile environments like tech laboratories, but ready for your business! When it comes to dryers, the dryer vent is the most sensitive and important part of the entire device. With every use, the dryer vent may become more and more clogged with lint. Torrance dryer vent cleaning not only eliminates the clog, but helps to ensure that future clogs will develop more slowly. What does this mean to you? The clogs in your dryer vent make your machine less efficient. It takes up more energy, and takes longer to perform routine tasks. Without regular Torrance dryer vent cleaning, your machines could slow down substantially, taking up to fifty percent longer to complete the average drying cycle. That eats into your bottom line two ways: fewer cycles and greater expense per cycle. By comparison, the thrifty investment you make in regular maintenance can save you hundreds or thousands. Whether you’re a homeowner or a business, your dryer is one of the most important items you have. Remember that, if not properly maintained, the dryer can be a fire hazard! Even when this isn’t the case, it could begin damaging clothes or linens -- and that can lead to all kinds of problems. Don’t wait until the dryer starts acting up: call our company and let us take it off your mind.